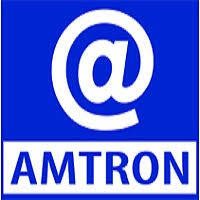 AMTRON Recruitment 2018 - Project Manager, Content Editor/Writer :Eligible candidates are requested to attend a walk-in-interview for MyGov Asssamresource recruitment for the below mentioned posts, at specified date & time. Candidates should bring their CV. Qualification & Experience: A post graduate degree with at least 60% Marks (1st class) in Mass Communication/ Public Policy/Sociology or a similar discipline from a reputed university in India/abroad. 2. Content Editor/Writer (English)Qualification & Experience: Graduate in any discipline with 4+years of experience OR Graduate in Mass Communication with 2+ years of experience in electronic or print media experience in prominent electronic or print media.